Everyone who works out enjoys a cheat day every now and then, but when you’re on a cruise ship vacation, cheat day tends to turn into cheat week. When you’re putting in the time and effort to exercise, eat right and generally live a healthy lifestyle, the last thing you want is to undo all that hard work with a week or two of skipping the gym and hitting the bar and buffet. Staying fit and having fun on a cruise ship are not mutually exclusive. There are plenty of ways to keep your physical activity up while still enjoying a few treats in the dining room. Here are a few of our favorites! 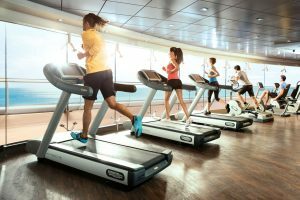 Cruise ship lines understand that exercise is often a key part of their guest’s lives, so they make sure to stock the ship with plenty of treadmills, ellipticals and weight-lifting options. The gym on board a cruise ship isn’t going to rival your fitness center at home, but it has enough to accommodate the basics and that’s really all you need! Even if the fitness center is full, the whole ship is essentially one giant stairmaster. With modern ships towering tens of stories above the sea, skipping the elevator in favor of the stairs is a great way to burn a few extra calories. If you’re looking for another way to get some exercise, the pool is a great option. Swimming is an incredible workout that uses almost every muscle in your body. Even if there’s too many people to swim laps, simply treading water can burn hundreds of calories per hour. 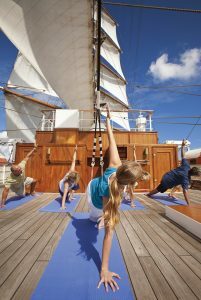 Many ships also offer daily programs like Yoga, Tai Chi, Zumba, and more. These classes are a great way to get some extra exercise while also getting to know some of your fellow passengers. 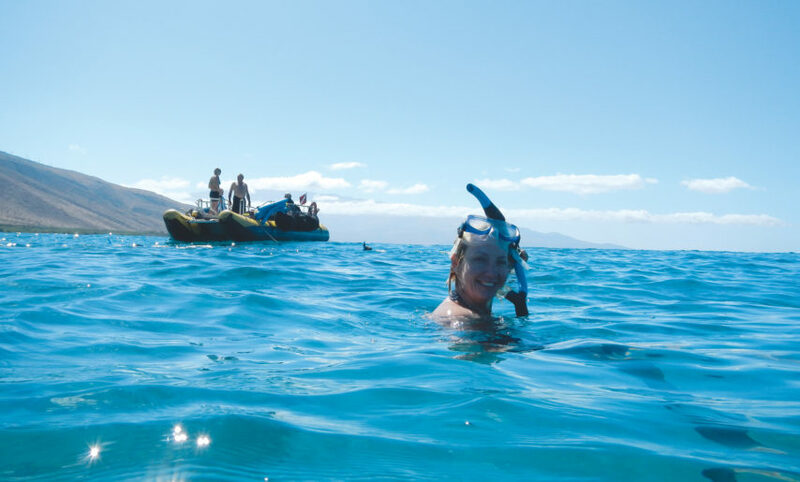 The classes cater to beginners and pros alike, so don’t hesitate to check them out. Just like at home, everything in moderation. Cruise ship dining options range from five-star, multi-course restaurants to poolside grilling and BBQ and everything in between. For the best experience, try to mix up where and what you eat. Most ships have some sort of buffet or 24-hour food options for guest convenience, but that doesn’t mean you have to enjoy them every day. 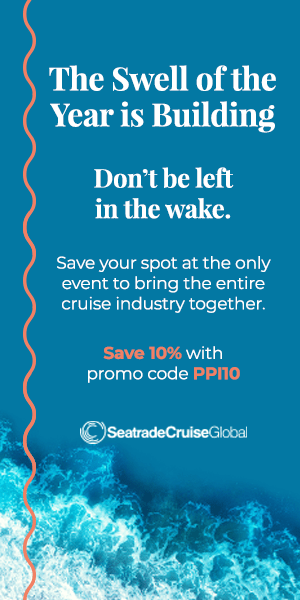 Cruise ships are very in-tune to the needs of their guests and that means providing dining options which meet everyone’s needs. Eating right is the same on a ship as at home. 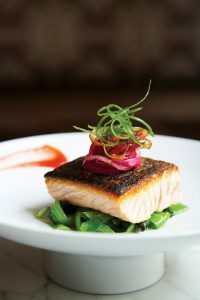 Look for low-calorie options on the menu or inquire about vegetarian or vegan meals.